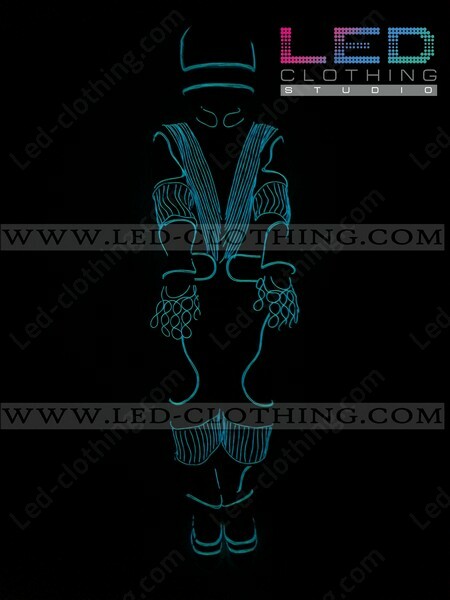 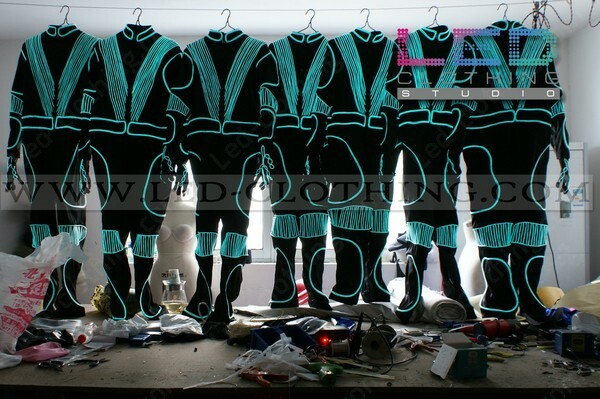 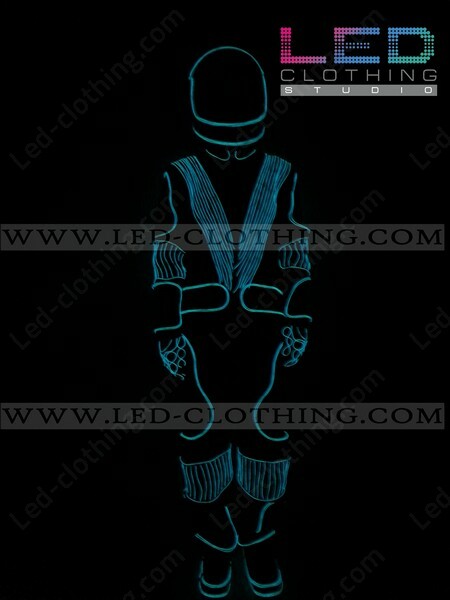 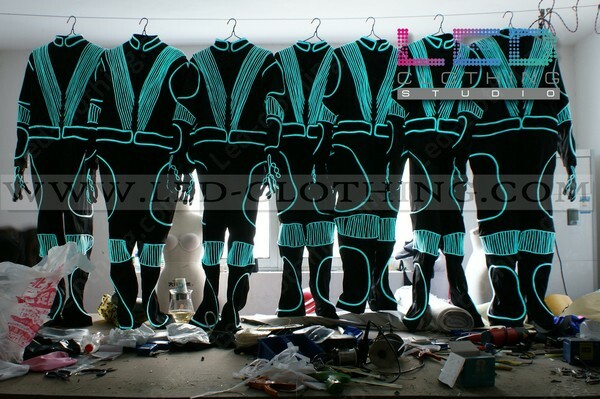 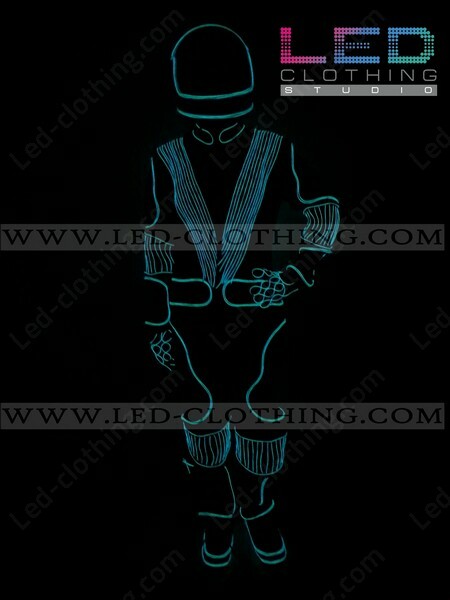 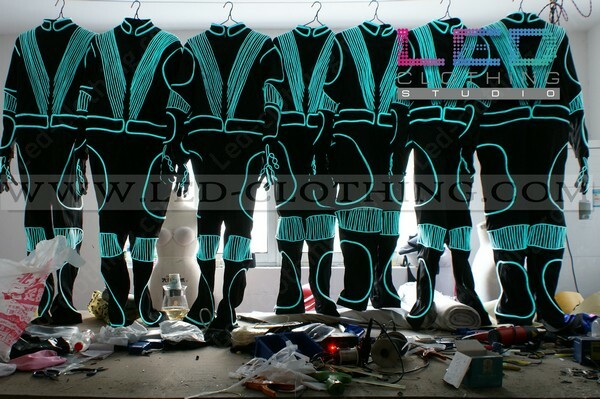 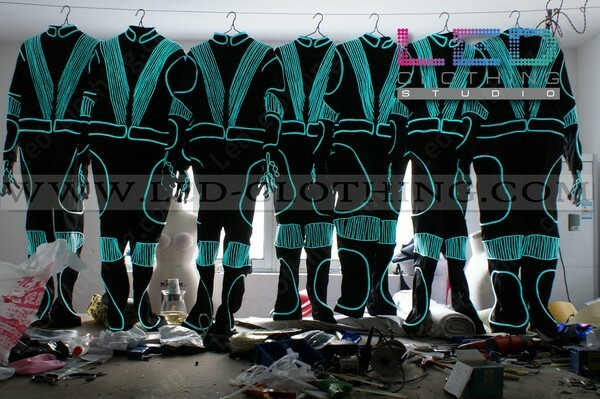 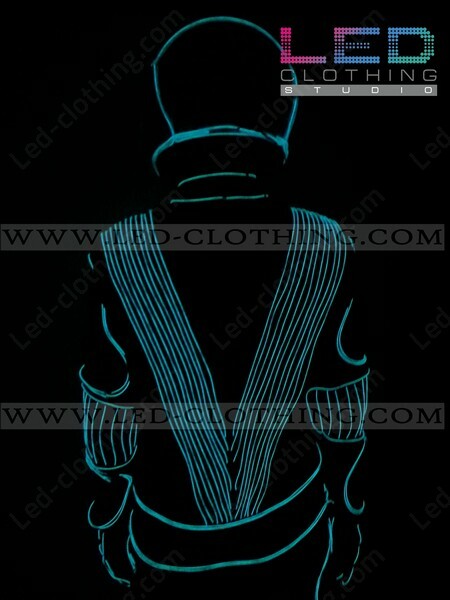 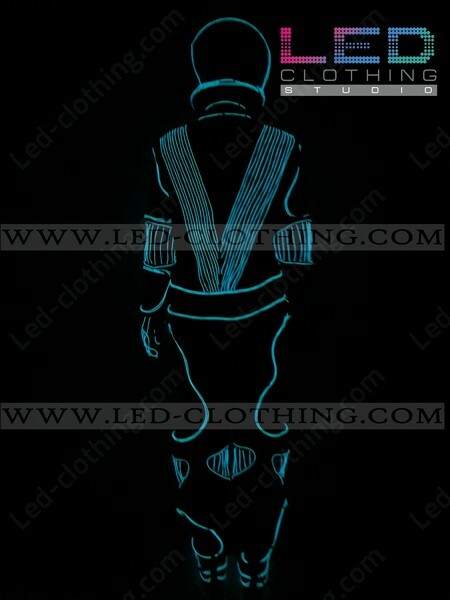 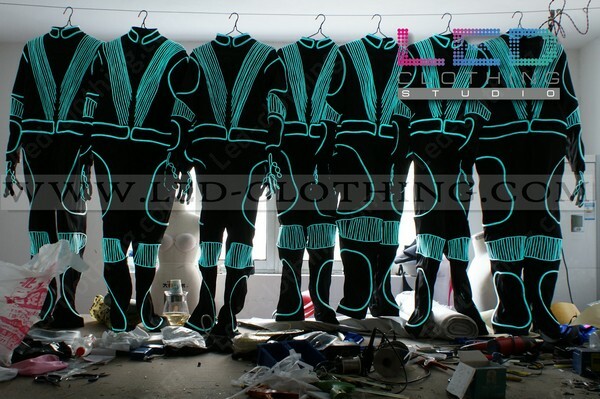 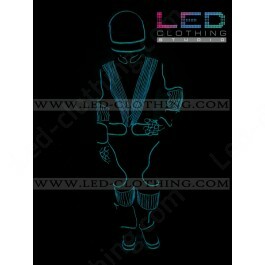 Daft Punk LED Robot glowing costume | LED Clothing Studio Inc.
Glow in the dark with our exclusive Daft Punk LED suit! 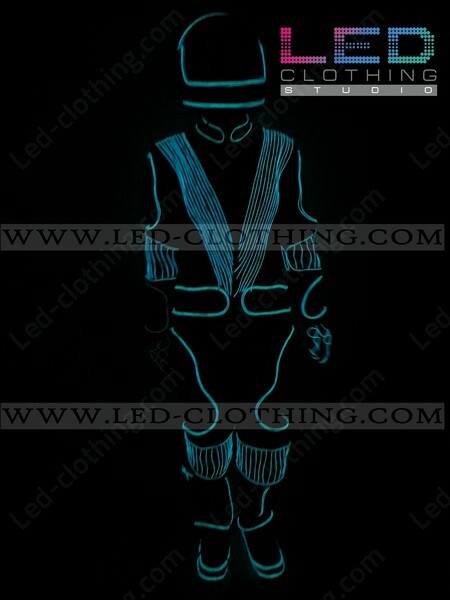 Supplied with shockproof ultrabright LED wires this costume will be your reliable partner in a dance show of any complexity, and the number of effects to pull out of the hat will make your performance outstanding if not ineffeceable. 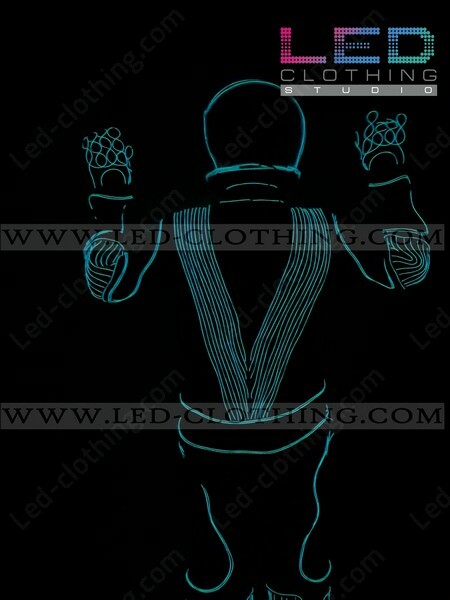 We designed several modifications of our Daft Punk LED model and for sure can adjust it to your specific requirements, be it the number of LED wires or way of controlling the effects. 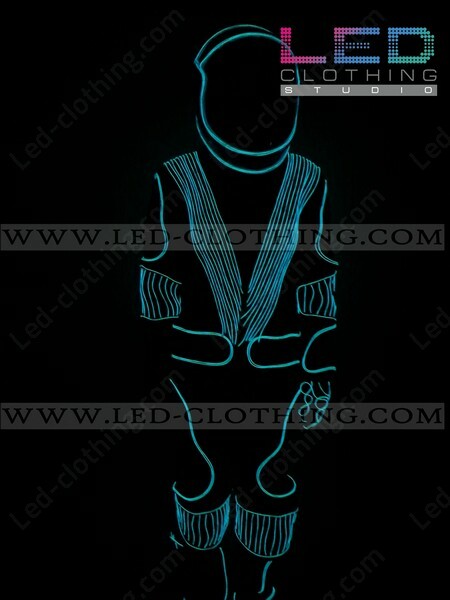 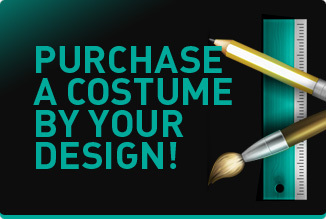 You are buying an unique LED costume that is perfect for entertaining crowds and dancing shows at night clubs and night parties.